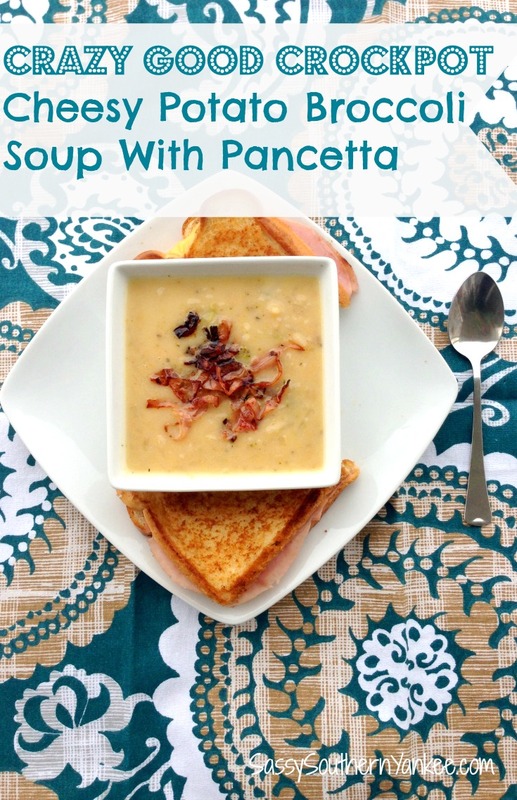 This Crazy Good Crockpot Cheesy Potato Broccoli Soup With Pancetta is one of the easiest soups ever to make! I first made it at work for comfort food Friday and I had customers in our lobby asking for a bowl and the recipe! I originally got the recipe from a blog that I found on Pinterest (sorry not sure what the website was). Since then I have made a few adjustments to suit my family and work families taste buds. Crockpot Cheesy Potato Broccoli Soup is perfect for those cold winter days; just cozy up with a cup. 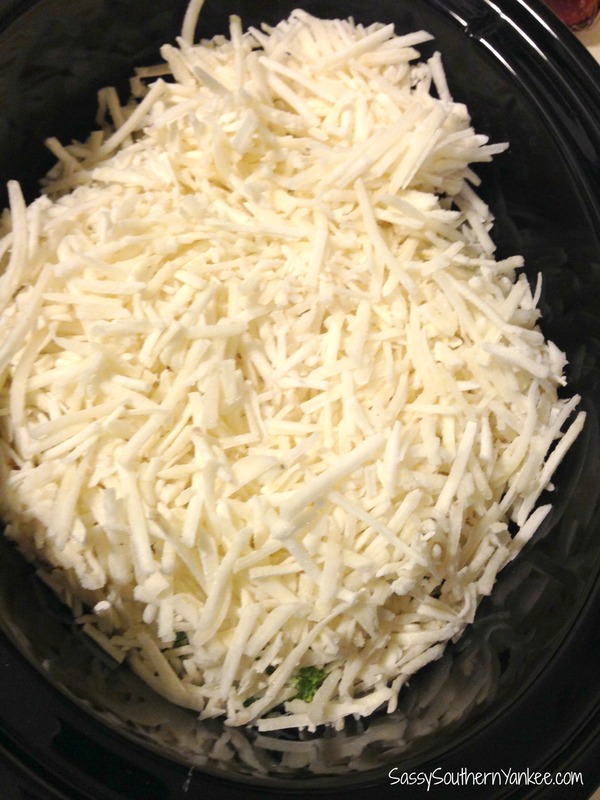 In a crock pot add the onion, garlic, broccoli, hash-browns, cream cheese, chicken broth, salt and pepper. Cook on low for 6-8 hours until the broccoli is soft. Add the shredded cheddar cheese (and bacon bits if you’re using them) and allow to cook for an additional 30 mins. By now your house should smell amazing and the soup should taste even better! If you’re using pancetta I like to slice it into strips then put it in a frying pan until its nice and crispy then add a bit to each bowl of soup. Cozying up with a big bowl of this Cheesy Potato Broccoli Soup With Pancetta is the perfect end to a long day. *if you like the soup on the thicker side you can feel free to add some instant mashed potatoes; I like to use the garlic ones for an added boost of flavor. Keep in the fridge for up to 5 days or freeze for up to 6 months. I like to freeze them in small containers, so I can pop them out of the freezer when I need a quick-lunch. 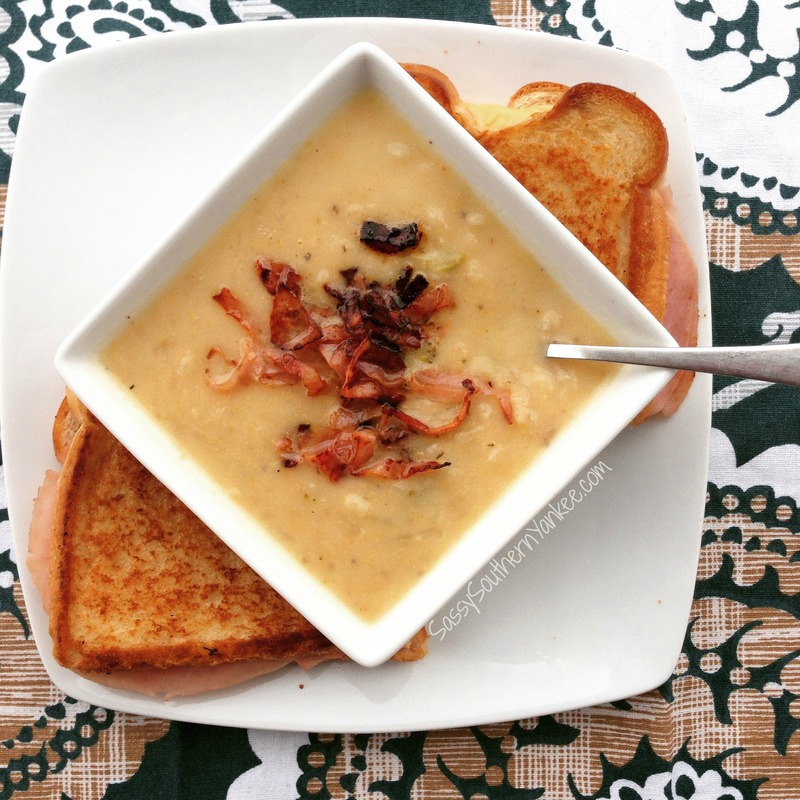 This Crazy Good Crockpot Cheesy Potato Broccoli Soup With Pancetta is one of the easiest soups ever to make! Perfect for those cold winter days; just cozy up with a cup. In a crock pot add the onion, garlic, broccoli, hash-browns, cream cheese, chicken broth, salt and pepper. Cook on low for 6-8 hours until the broccoli is soft. Add the shredded cheddar cheese (and bacon bits if you're using them) and allow to cook for an additional 30 mins. By now your house should smell amazing and the soup should taste even better! If you're using pancetta I like to slice it into strips then put it in a frying pan until its nice and crispy then add a bit to each bowl of soup. Cozying up with a big bowl of this Cheesy Potato Broccoli Soup With Pancetta is the perfect end to a long day. 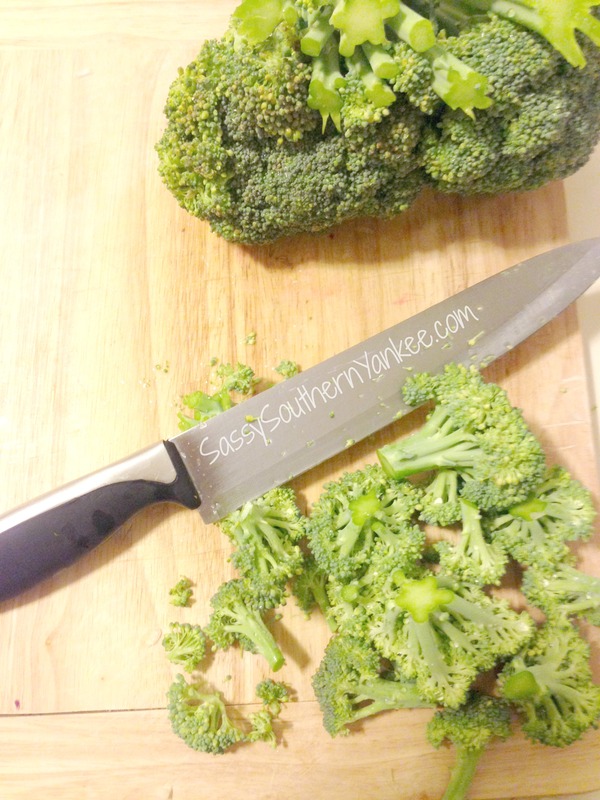 This entry was posted in Soup and tagged broccoli, cheesy, Comfort Food, cozy, crockpot, Dinner, easy, Easy Lunches, Easy Meals, freezer, Make Ahead, Potato, slow-cooker, Soup.